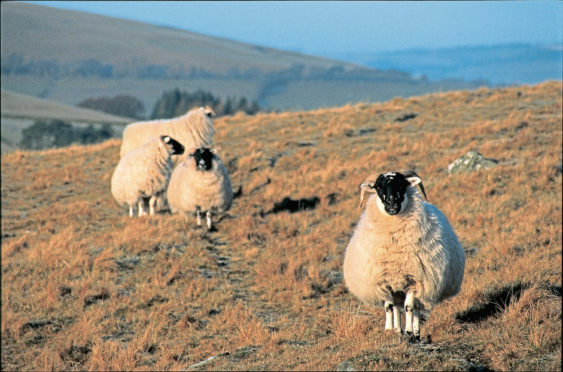 Sheep farmers are urged to remain vigilant for the disease. The hot summer reduced the impact of the problem across the country, but the team involved in a Livestock Health Scotland study of 10 flocks, which normally face significant fluke challenges in a hotspot in Argyll, have warned farmers against being complacent and suggest the wet late summer and autumn may have given the parasite a lifeline which could trigger late infection. LHS chairman Nigel Millar said the sun and low rainfall in early summer appeared to have broken the normal fluke challenge. “The results so far are a good news story, evidence of an atypical year of sunshine. That said, with some producers routinely treating sheep for fluke in the autumn to avoid clinical liver fluke disease, it is possible that doses were administered before infections were established. Late infections may break through in these flocks,” he said. “Screening will continue across the 10 flocks and stronger indications of the level of late infection may emerge. Moredun scientist Philip Skuce added: “It is all too easy to assume or guess the extent and timing of peak fluke challenge and what products may or may not be most effective.